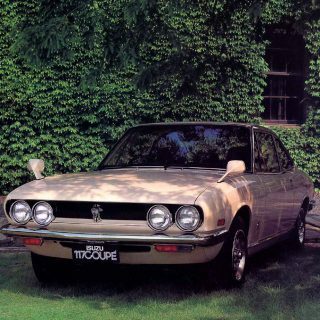 Journal: Are Old And Tasteful Japanese Trucks The Perfect Entry-Level Classics? Are Old And Tasteful Japanese Trucks The Perfect Entry-Level Classics? After barely passing my freshman year of high school in a cornfield of a town in central Illinois, I moved to Mississippi. Ok, perhaps I was no longer welcome to continue residing at my mother’s house…so it was off to dad’s. My father had just moved to The Magnolia State to start a new business venture and the last thing he needed was a problem child teenager. But, being a Marine, he had no trouble “fixing me,” as he so blatantly (and accurately) phrases it. Like many, my teenage years were an odd time in my life. What I didn’t know then was this unexpected (and undesired) move would redirect my life’s course for the greater. As a white grunge-loving wannabe rock star teenage punk from the Midwest, Mississippi was an eye opening foreign experience. The people couldn’t have been more different than Illinois folks, and the car culture was equally distinct. 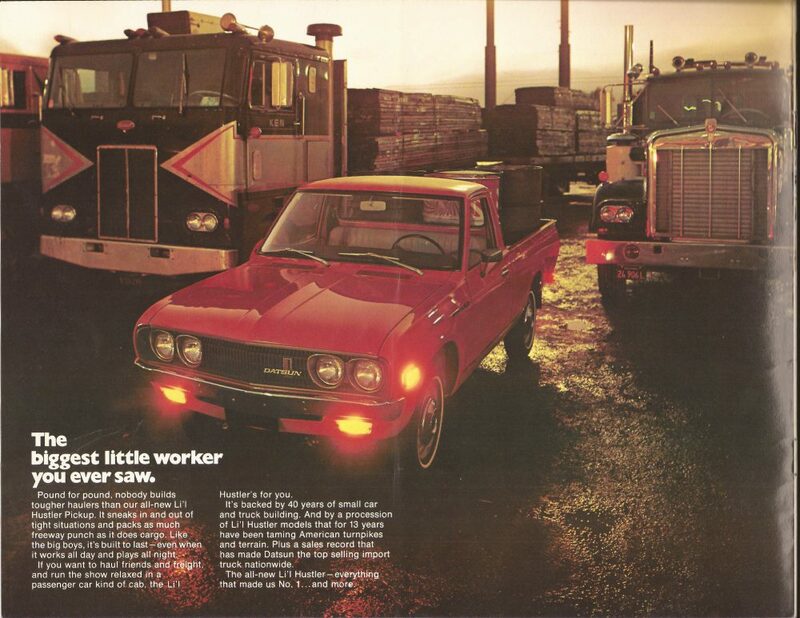 I had always been a car fanatic, but never had much appreciation for trucks. I understood the appeal from a functionality standpoint but never thought I’d come to love classic pickups. After sweating living in the unbearably humid south for a few months, I got to know some of the local gearhead youth. One such sophomore wheeled a beautiful red 1970 Ford F100 short bed him and his father resto-modded together. It was lowered on Mag slot alloys, bumperless with a rear roll pan, and rumbled obnoxiously thanks to some trick piece of cammed American large displacement. 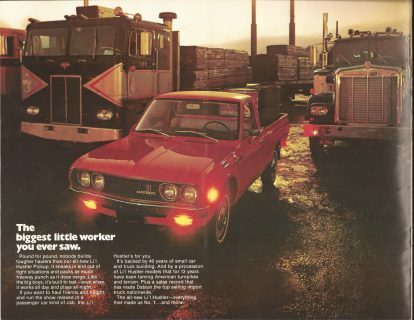 I loved that truck…but it was soon gone from the high school parking lot because the dude dropped out to take over the family company. 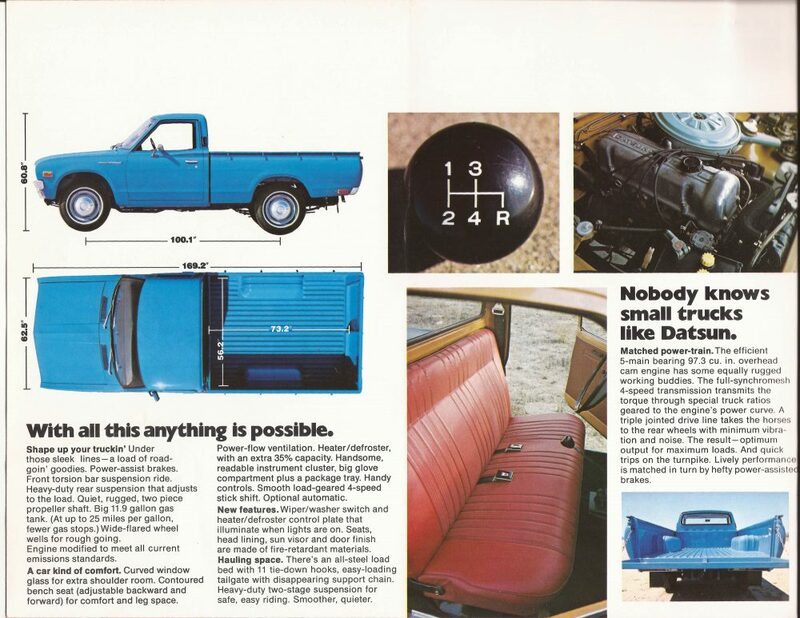 No worries, because shortly after another truck-loving teenager picked up his first set of wheels: an early ’70s Toyota Pickup—called the Hilux to the rest of the world. The small, rusty, patina’d blue compact truck immediately caught my attention. 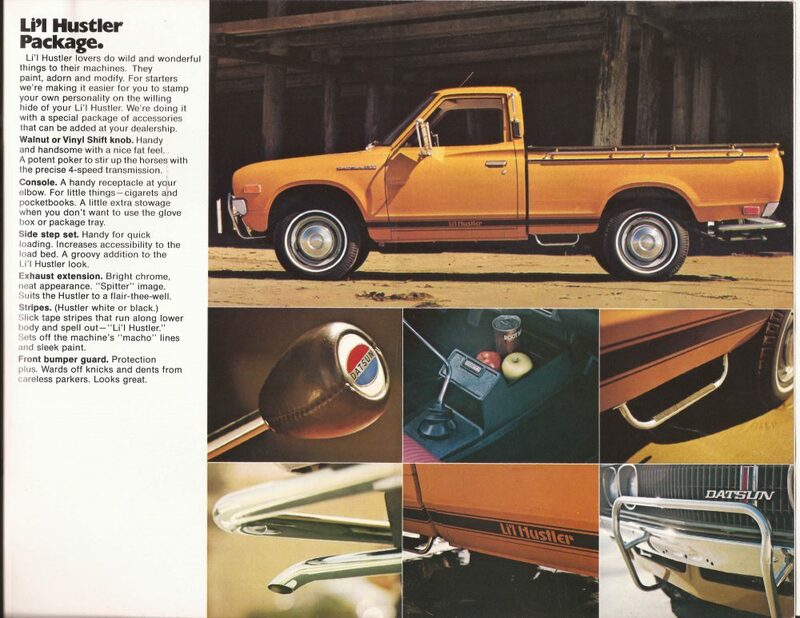 It had these awesome fender mounted brick-sized turn signals, bed hooks, and a large TOYOTA embossed tailgate—just so much style for such a small hauler. 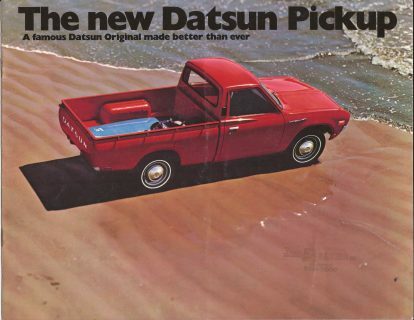 That was a long time ago, and my acquired appreciation for vehicles isn’t secluded to a single country of origin, but I do still love old pickups from The Land of the Rising Sun. 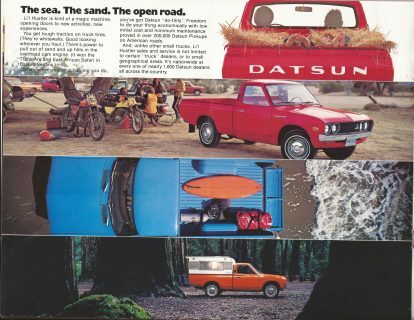 In fact, my first classic was a 1973 Datsun 620, which I picked up just after moving to California. 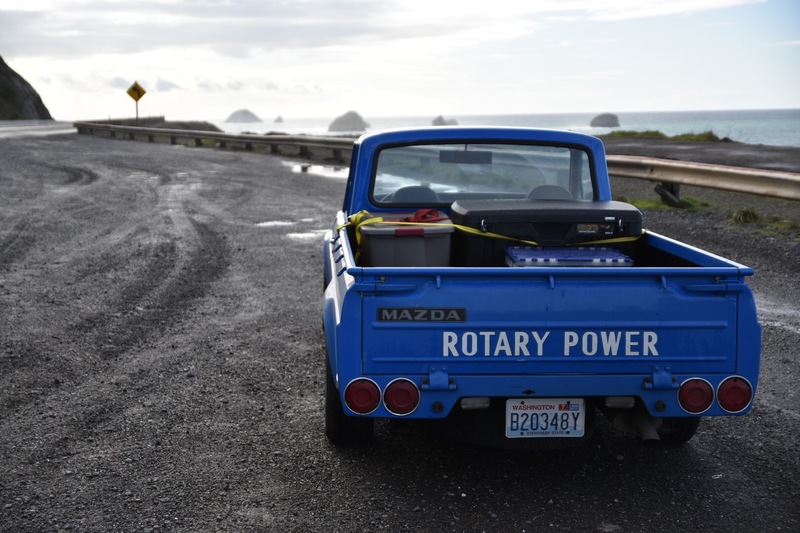 I didn’t need a truck I just wanted one and figured an old Japanese workhorse would make an easy entry into the classic world—and I was right. It was inexpensive to buy, effortless to maintain, cheap to run, looked sharp, and was surprisingly reliable. 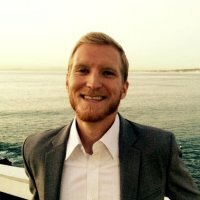 The online forum support was immense and greatly helped my DIYer attitude. Yet, when I went to the local cars and coffee, most enthusiasts didn’t get it. 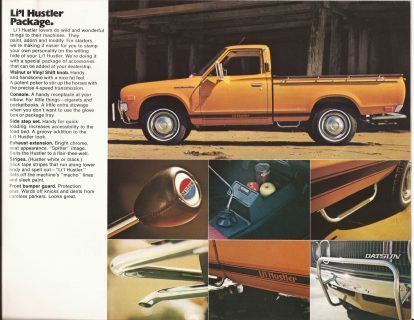 “What made you buy that?” It seems classic American trucks are accepted as cool stylish alternatives to American cars, but Japanese trucks are widely stereotyped as old tools meant for small utility—rarely praised or loved by petrolisti. 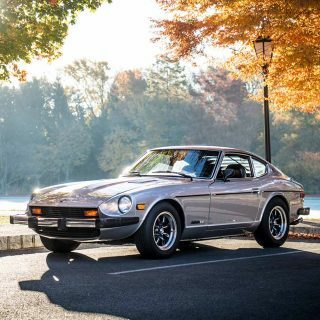 However, when putting around town in that old Datsun, I got more thumbs up, unsolicited purchase offers, and more attention than any vehicle I’ve ever owned. It seems everyone has a story with a Datsun pickup. “My dad had one of those,” or, “Oh, man! 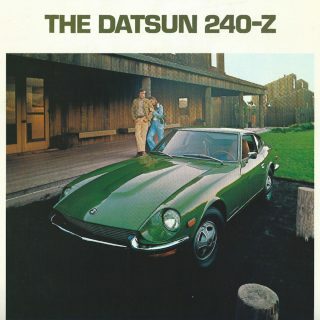 I haven’t seen one of those in years.” The general public loves my jalopy Datsun… but enthusiasts are just sort of, “meh”. 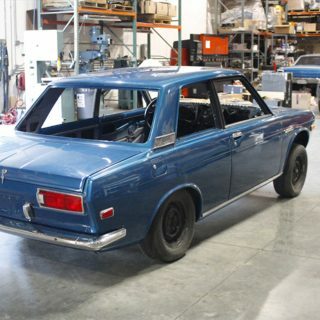 Recent years have seen the Japanese classic market rise significantly. Classic JNC are more popular than ever but, still, a quick Craigslist classifieds search will supply a handful of Honshu haulers for very little money. 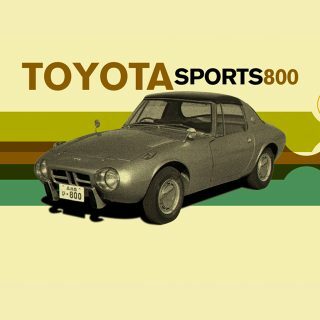 If you’re unfamiliar with these offerings, look up the Mazda REPU, Toyota pickup (Hilux), Toyota Scout, Datsun 521, Datsun 620, or Nissan Sunny for some classy Japanese rigs. You’ll find plenty for sale with low asking prices posted all across the world-wide-web. Once commonly dismissed as unworthy of restoration after deterioration, the Toyota FJ market has come full circle within the last decade—could we see a similar turnaround for Japanese pickups? 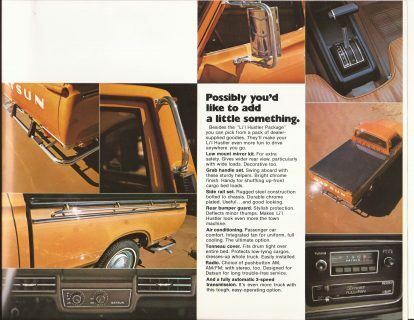 As enthusiasts, how do you view Japanese nostalgic pickups? Are you a fan or do you see them as merely old appliances—are they desirable? Here is a pic… pretty good shape, considering most of them returned to the earth. 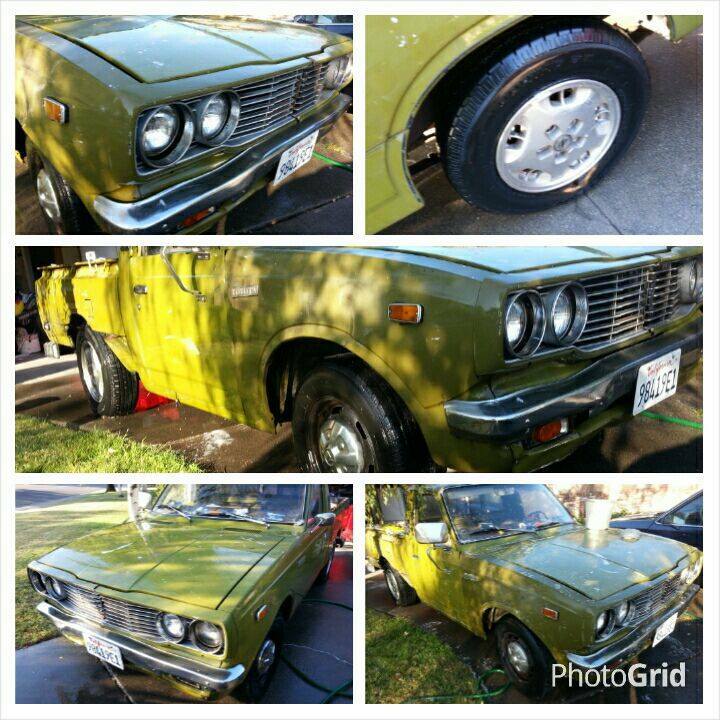 Love the old Japanese trucks, they are hard to find and parts are becoming harder and harder. 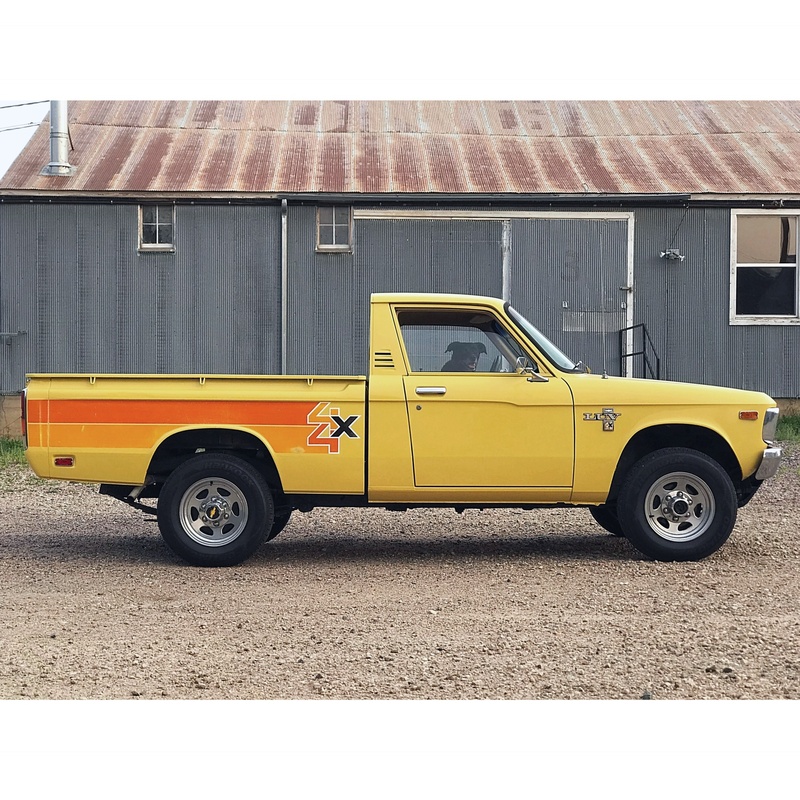 I have a 79’ Chevy LUV (Isuzu Faster) 4×4 and it is a fun project and truck. 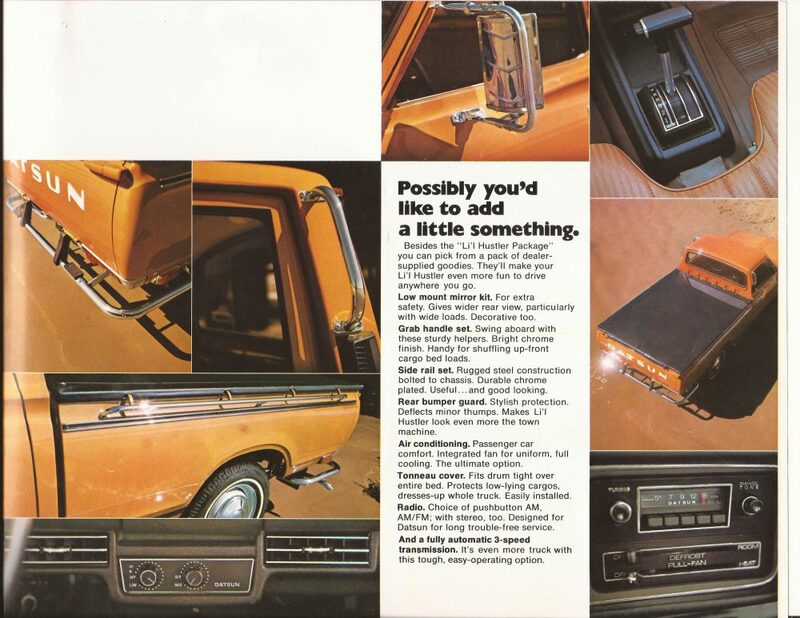 The Ford Courier is also pretty cool, Mazda I think. Fortunately, after nearly 40 years of ownership of my 77 Hilux SR5, I have begun to see the tree in the forest. What was a venerable hauler of crap and work truck will be given some love over the next winter and spring. The longer I have owned this truck the more i have come to appreciate it and will drive it to my grave in another 20 +years. I think you may be on to something here. Remember the Ford (Mazda) Courier? 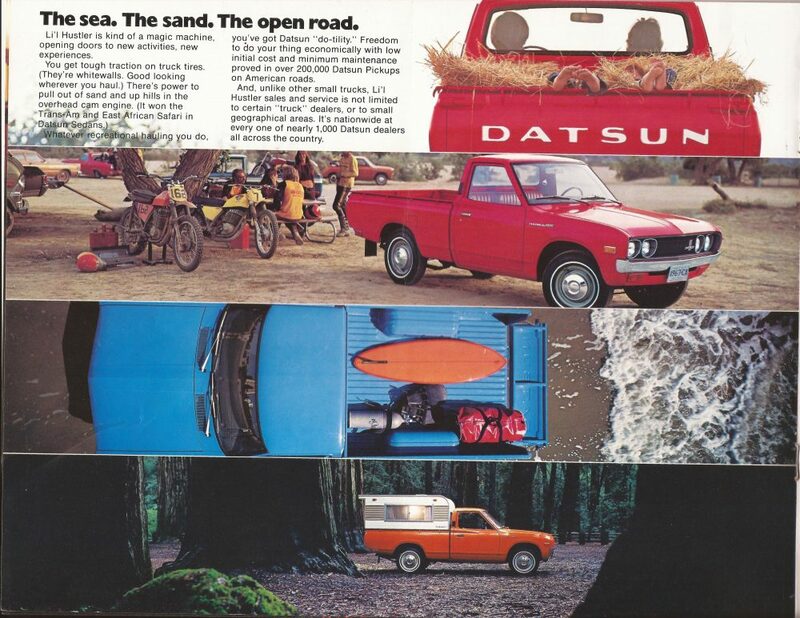 This was the American “answer” to Datsuns like these. I took these for granted when I was a mere lad – now I think I’ll keep an eye our for one. I suppose it’s inevitable that these utilitarian beasts will be considered by some ,as classics some day. I’m not a fan of them, and I currently drive a small but sometimes useful Ford Ranger pickup . My trucklet and the Japanese versions are useful , but classics ? 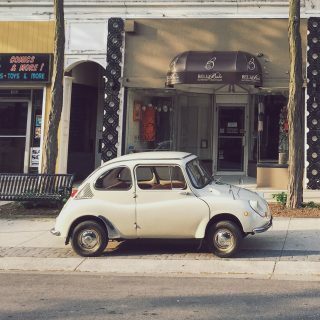 I was lucky enough to drive a restored REPU across country this past December and it’s something I’ll never forget. Bouncing all over and winding up the Rotary to 7,000rpm is an amazing sensation. Just want to correct you. It’s called a Toyota Stout, not Scout, as you had in your article. 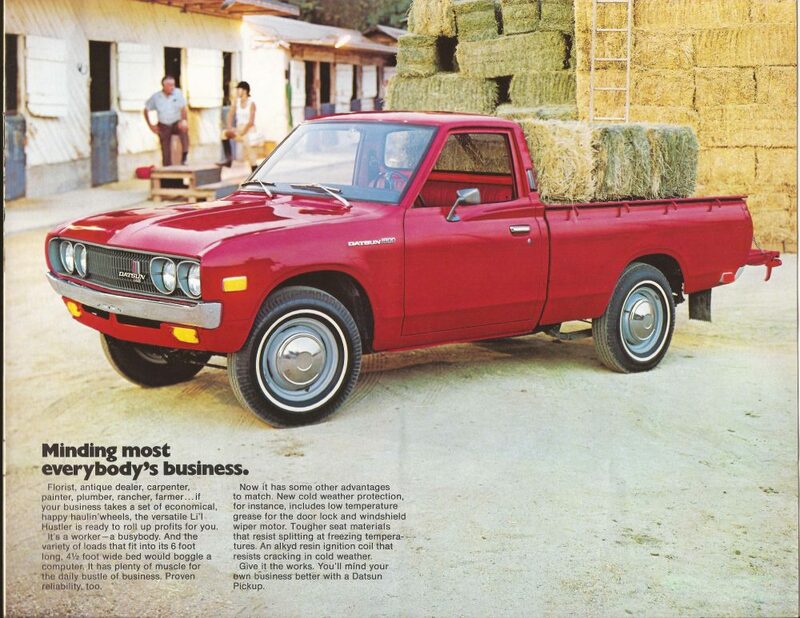 And I have a ’75 Toyota pickup SR5 (aka Hilux). My in the process restored 1986 hilux Sr5 4×4 xtra cab and me are having a great life together, working on finishing the restoration process, and its also my daily driver. “drive tastefully” and a petrolicious sticker on it. Also looking for one of those beautiful alfas you guys have, wanting another project soon! Glad to hear you’re a Drive Tastefully advocate. Cheers! I am from Amsterdam The Netherlands and although I owned a big Chevrolet Suburban, and driven one of the last real landyachts (Cadillac Coupe Deville ’76) with a 500ci engine…it is my recently accuired Ford Courier (2.0 ltr 4speed ’81) with 63K orginal miles on it that is my favorite! I too got more thumbs up (no unsollicited offers yet) than any other ride I’d ever owned! It’s an all original California truck..with a beautiful patina (no rust) and faded yellow paint! Just had all gaskets replaced and cylinderhead revised! 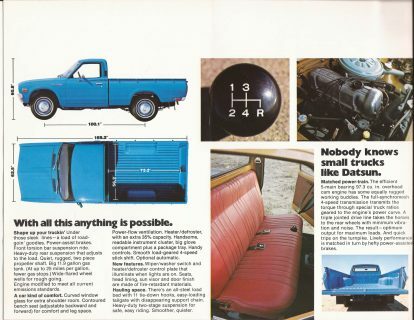 Runs great…love that truck!